Bull moose grazing in mountain forest. 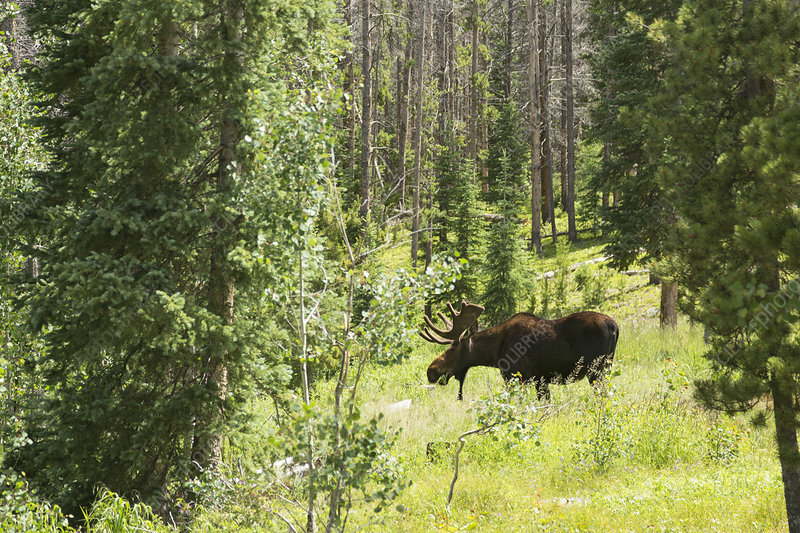 Male (bull) moose (Alces alces) grazing on vegetation among trees in a mountain forest. Photographed in July in Eagles Nest Wilderness Area, near Silverthorne, Colorado, USA. This wilderness area is part of the larger White River National Forest in the Rocky Mountains.